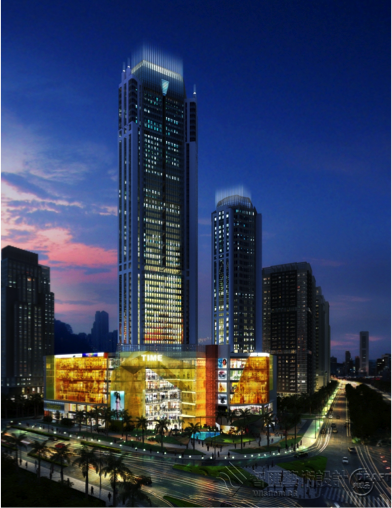 Designed by international architects Benoy and is anchored by high-profile tenants including H&M, ckJeans, Uniqlo, Sephora and Golden Jaguar (China’s most popular buffet-style restaurant). Metropolis Tower is ideally situated in close proximity to a number of high-profile corporate occupiers including Lenovo and Microsoft and provides high-quality office space designed to international standards. In September 2010, the InfraRed-Nan Fung real estate team successfully secured the sale of Metropolis Tower to a US-based institutional investor. Mr. Chan, while employed by HSBC NF Fund was responsible for sourcing the transaction and structuring, negotiation the acquisition and managing the completion and leasing of the property upon completion. Subsequently, Maxsen was engaged as advisor for the project for a transition period. Beijing International Arts Co. Ltd. owns and operates the 360-room Crowne Plaza Hotel on 48 Wangfujing Road, Dongcheng District, Beijing. Total land area is 6506.8 sqm and has 9 storeys and a total GFA of 29,000 sqm for the main building and 4218 sqm for the annex building. Maxsen advised and structured the USD35 million mezzanine loan for the owner. Maxsen director was appointed director of the hotel and participated in the refinancing and repayment of the loan after 3 years. Return for the investor: over 18% IRR (3 years). A 54-storey mixed-use building with 120,000 sqm GFA located at the prime Gongbei District of Zhuhai near the Zhuhai and Macau border. The build has completed its structural work and is a distressed asset which a total outstanding debt in excess of RMB600 million. Raised RMB400 million mezzanine debt for the project to complete the renovation. Mandated to advise the client on the disposition of the hotel.